Who’s the Master of the Drone? One thing that I find puzzling is the notion that Obama ‘isn’t as bad as Bush’ when it comes to death, destruction, and the illegality of US foreign policy. For me, when I indulge in such conversations to prove why Obama is actually quite similar to Bush in these regards, I tend to use the not so covert drone war in Pakistan as the primary defense mechanism. 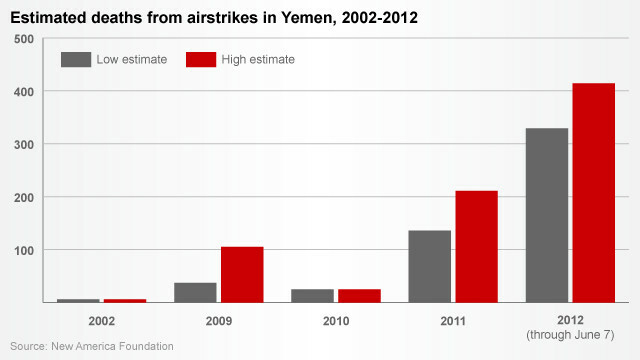 Often missing, however, in my argument is any mention of Obama’s not so covert drone war in Yemen. The use of drones, it should be mentioned, are deemed illegal by many writers, Bill Quigley at Counterpunch being one of many.